In year 4 at primary I remember his teacher preaching to me. 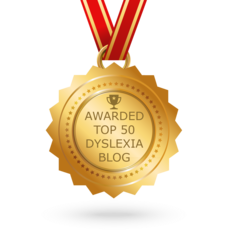 "Your son is not dyslexic, he is just naughty and lazy!" Oh how I would love to go and see her having now paid for a full assessment at the begining of year 10 to let her know the result: as SEVERLY dyslexic!